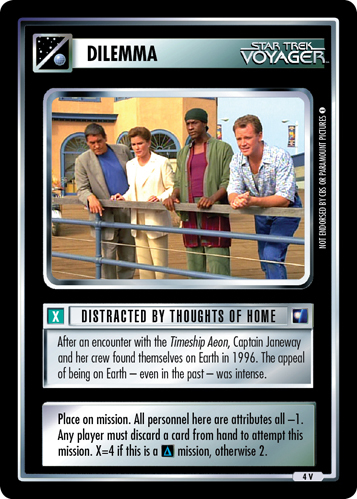 In 2373, Nyrians beamed aboard U.S.S. 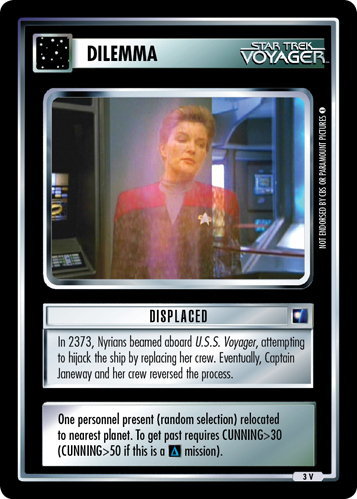 Voyager, attempting to hijack the ship by replacing her crew. 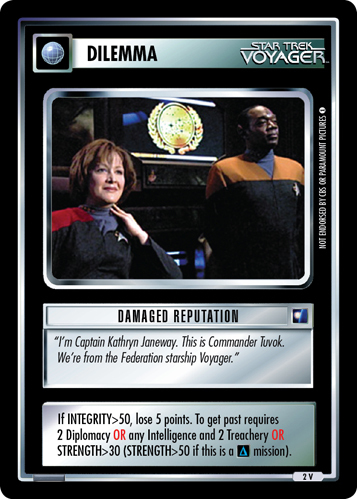 Eventually, Captain Janeway and her crew reversed the process. One personnel present (random selection) relocated to nearest planet. To get past requires CUNNING>30 (CUNNING>50 if this is a mission).